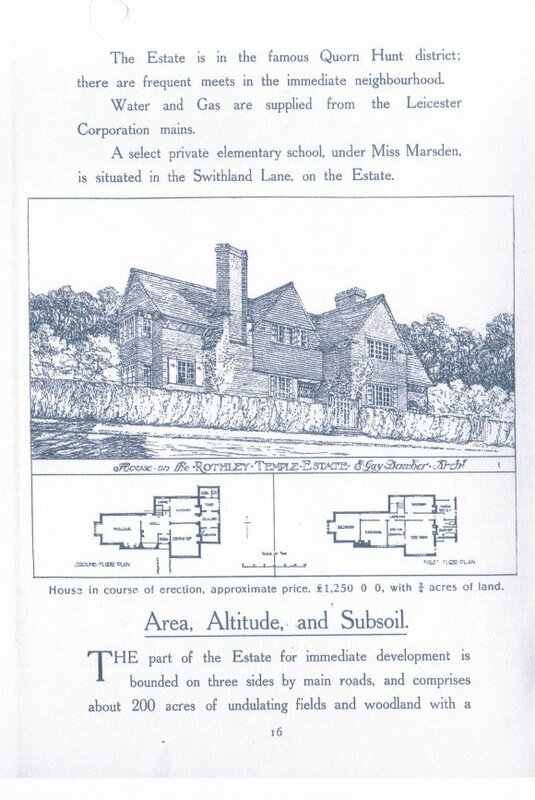 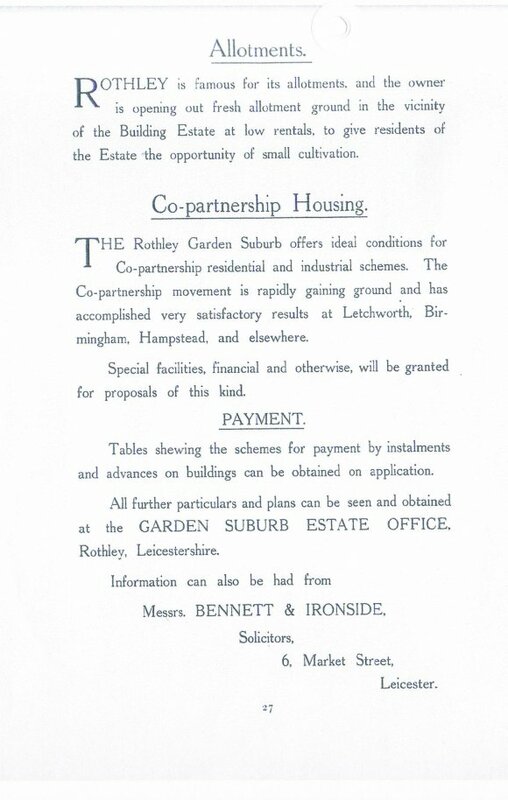 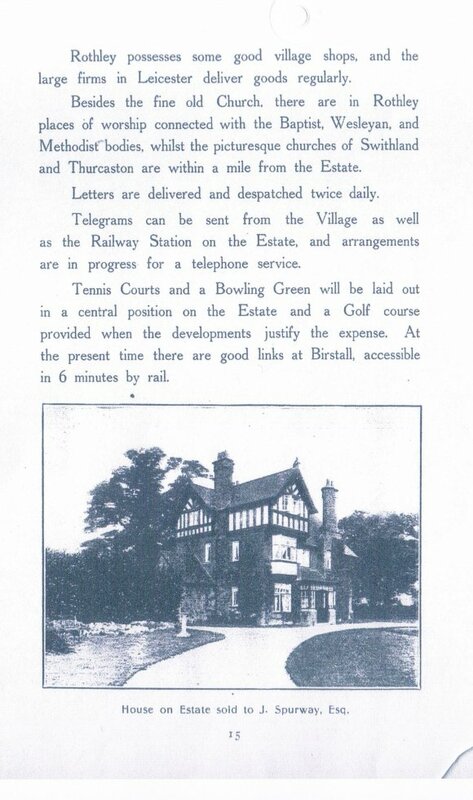 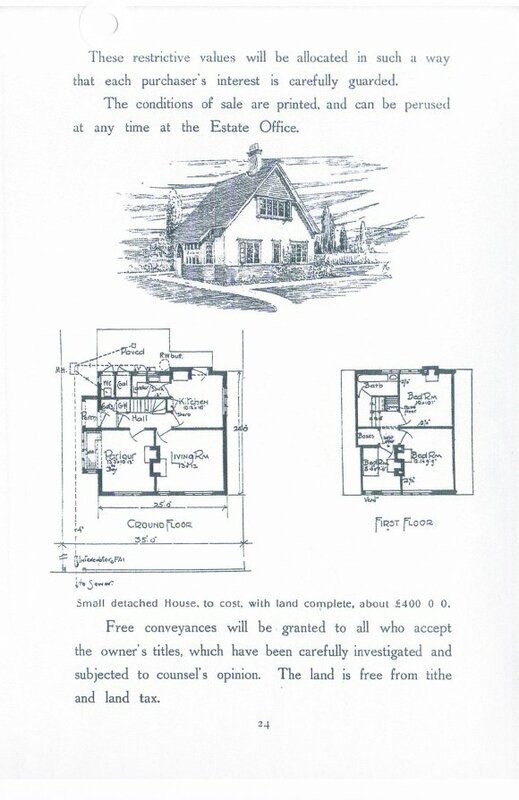 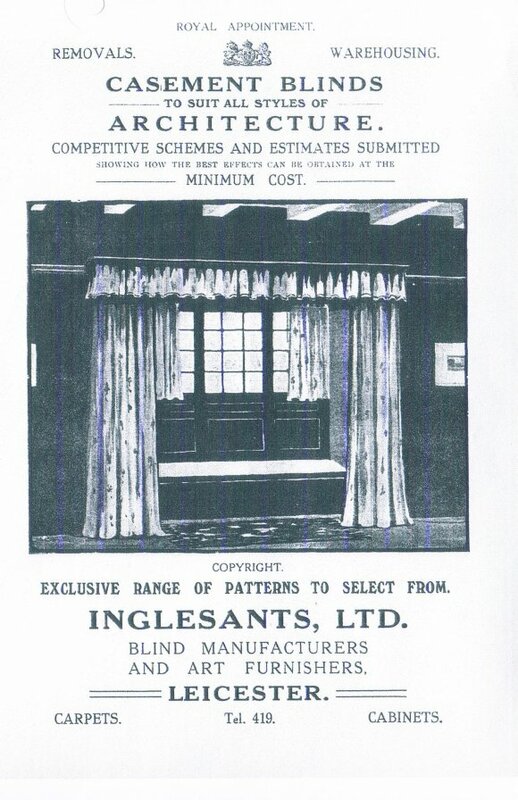 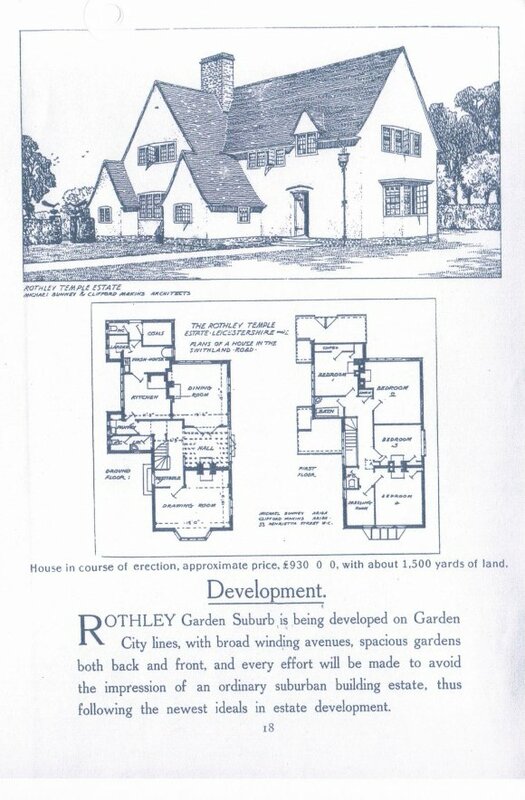 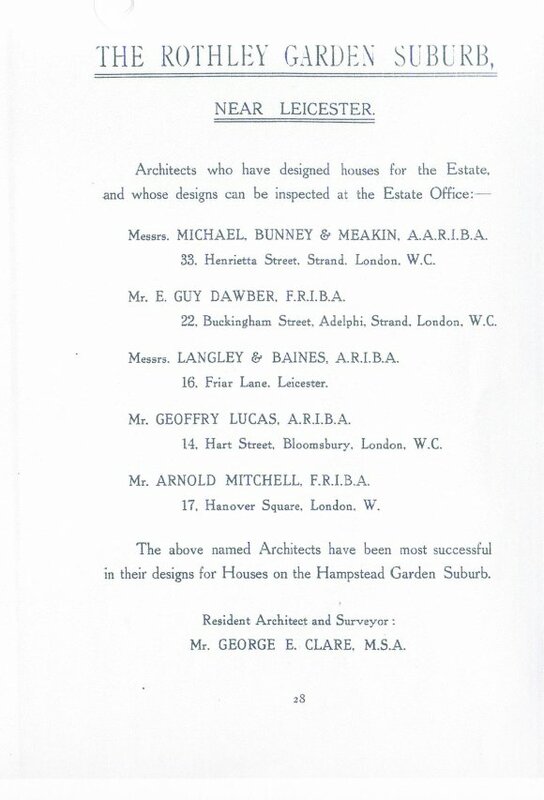 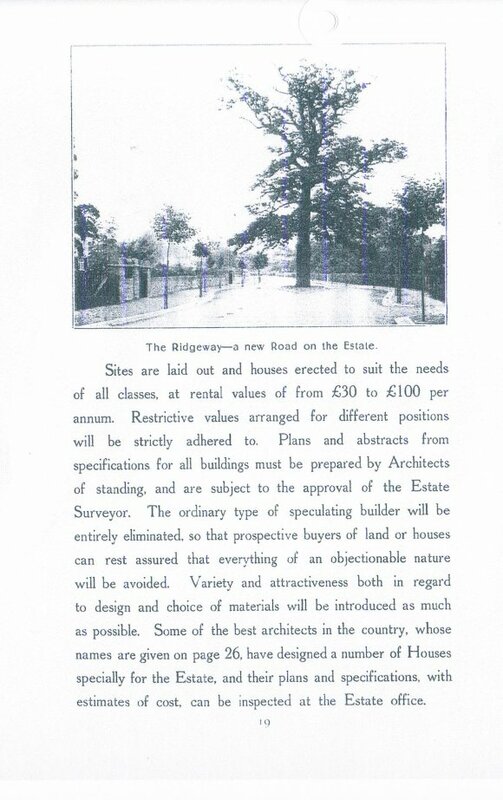 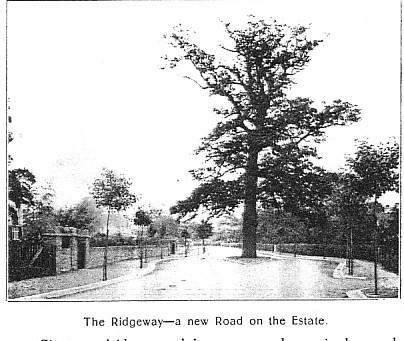 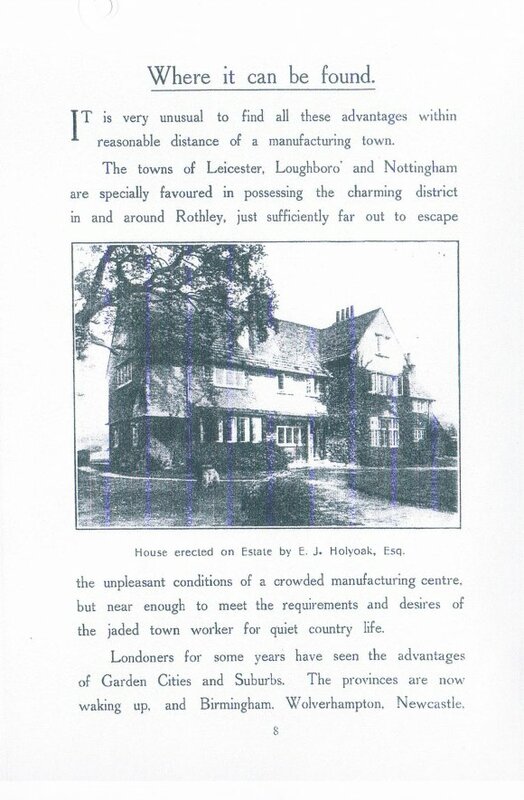 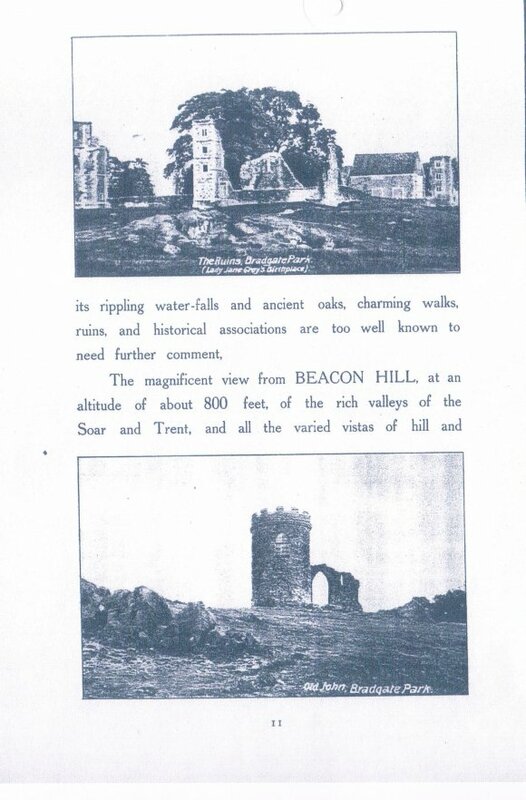 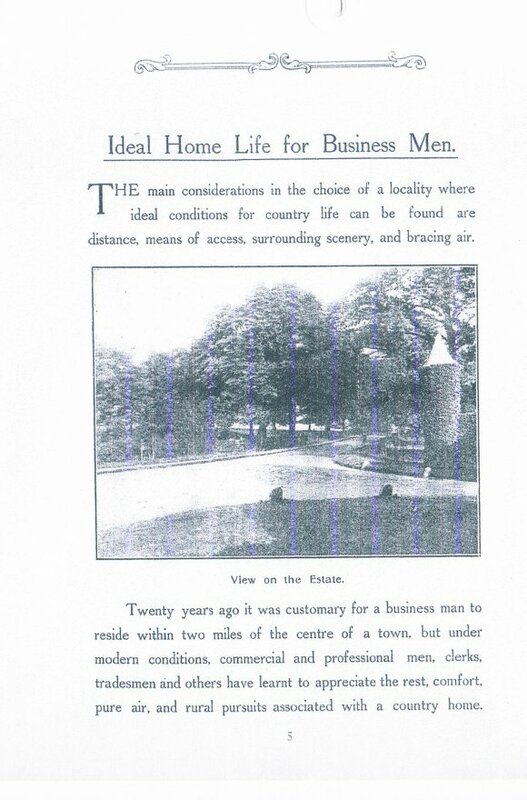 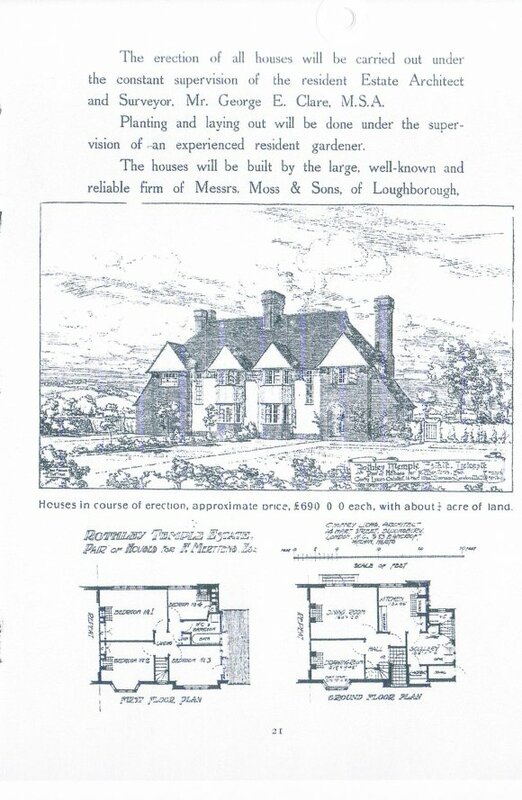 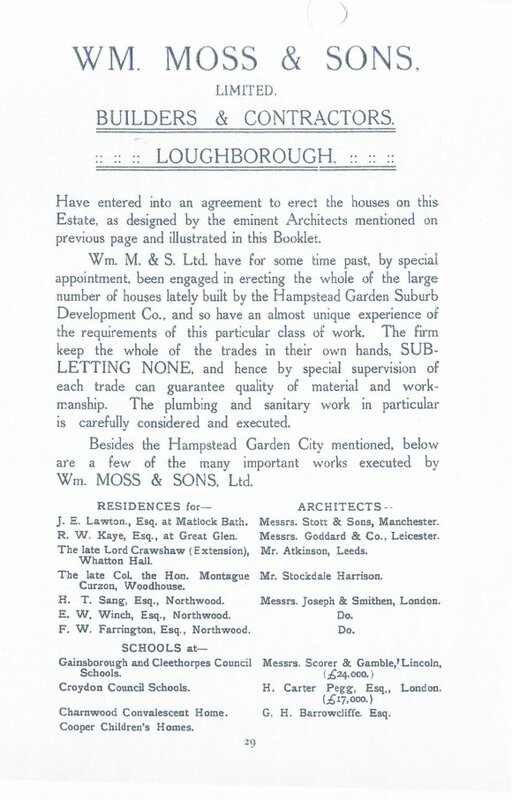 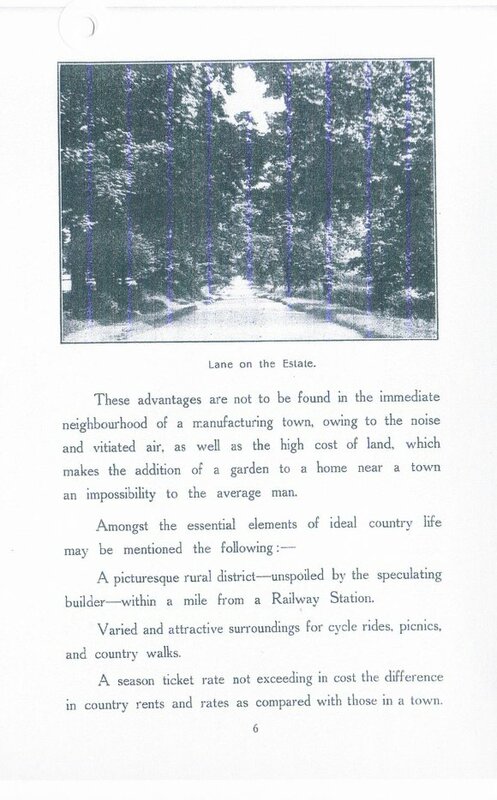 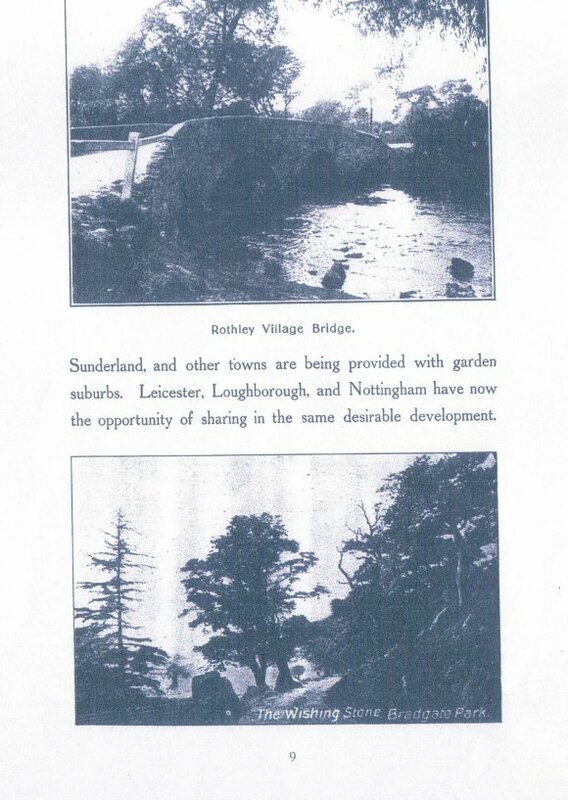 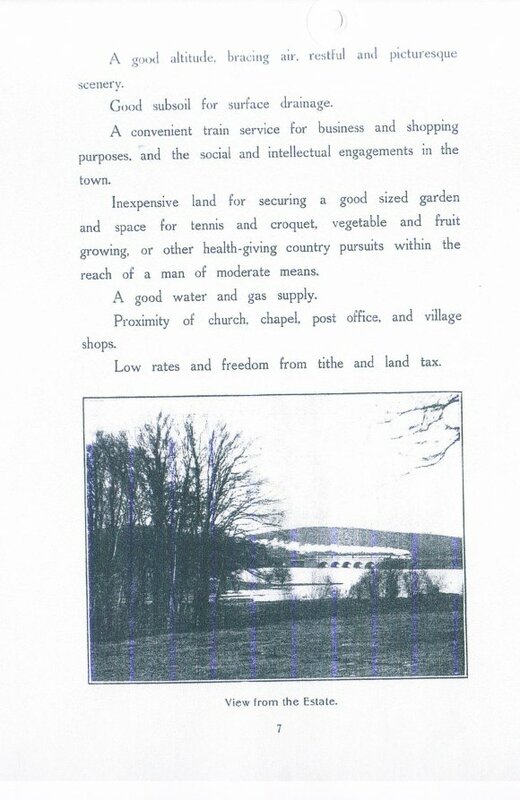 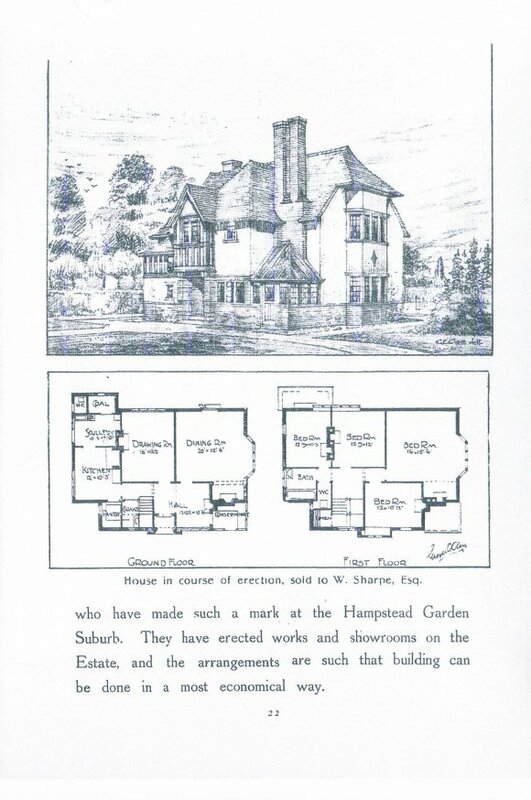 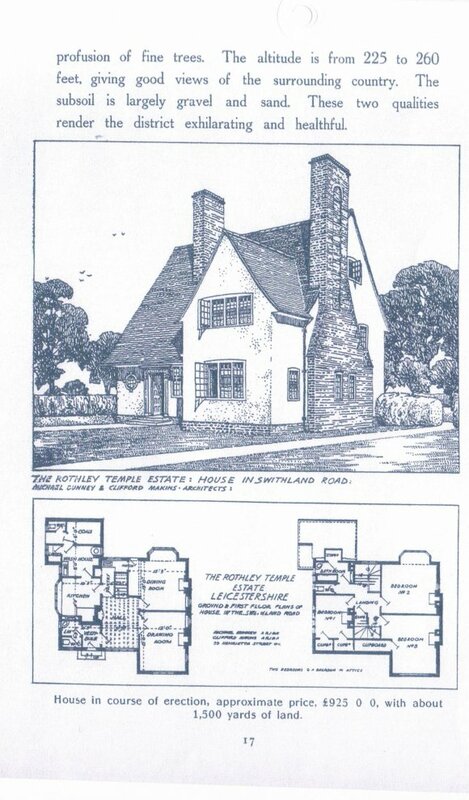 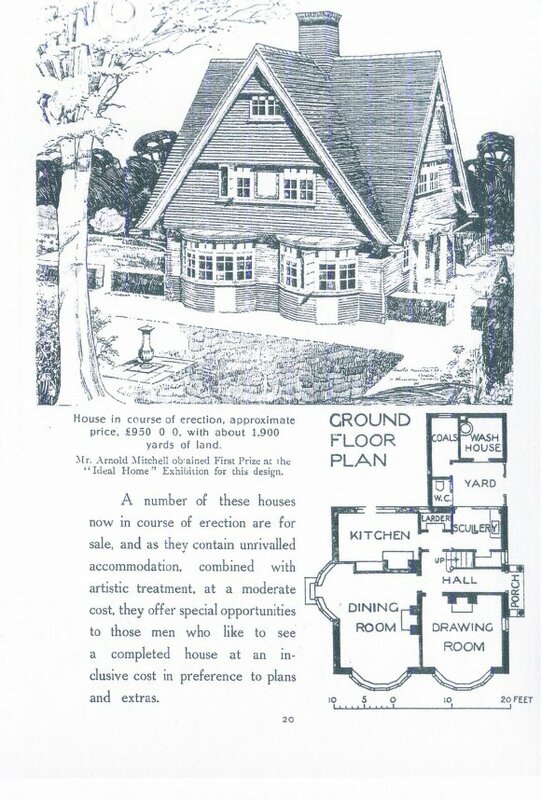 This was a booklet published in 1909 about a scheme to build a charming Country Estate at Rothley in the area we now see as The Ridgeway and Swithland Lane in Rothley. 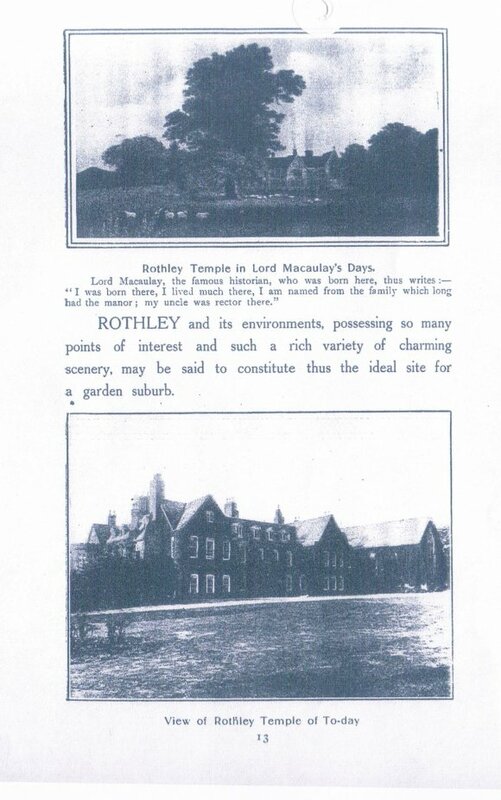 The charming district in and around Rothley, just sufficiently far out to escape the unpleasant conditions of a crowded manufacturing centre, but near enough to meet the requirements and desires of the jaded town worker for quiet country life. 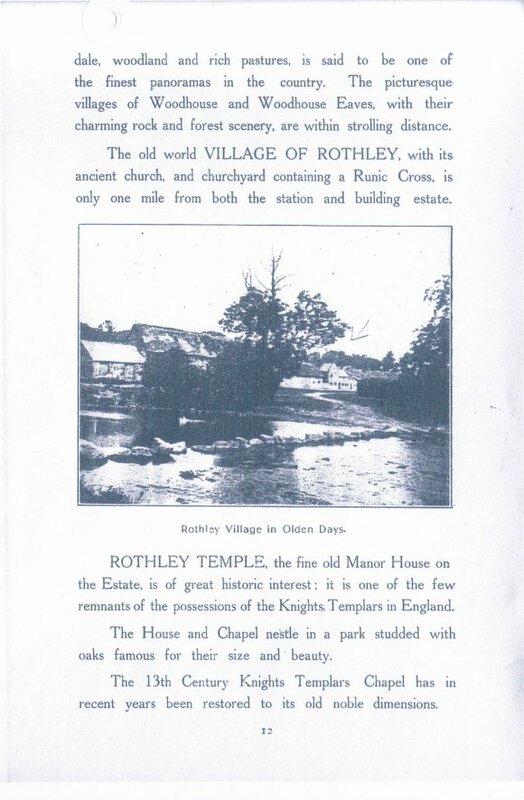 This booklet then gives details of the beauty spots and history of Rothley, local facilities and rail links. 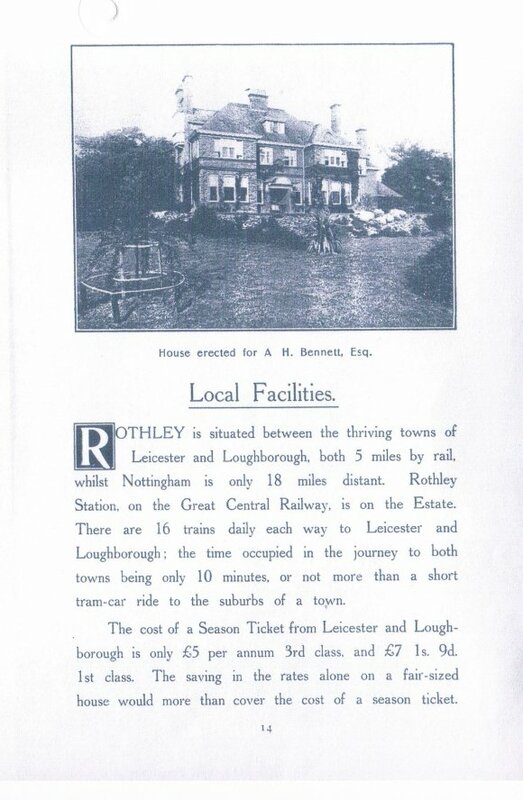 The cost of a Train Season Ticket from Leicester and Loughborough is only £5.0.0. 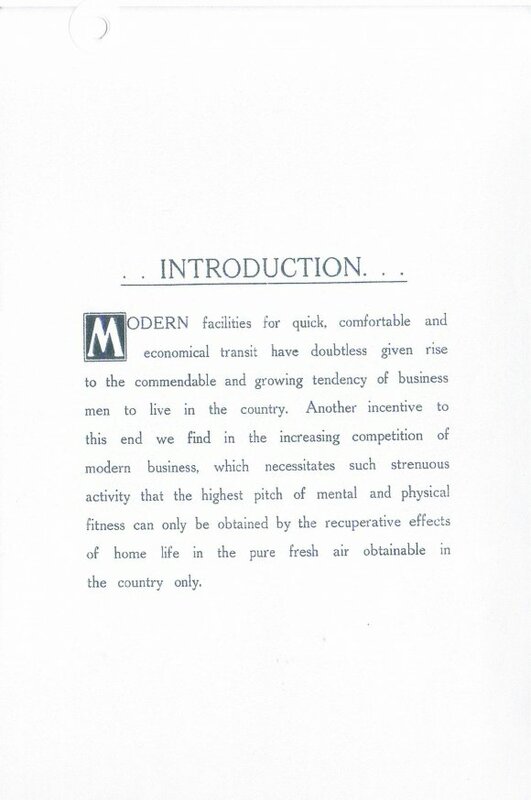 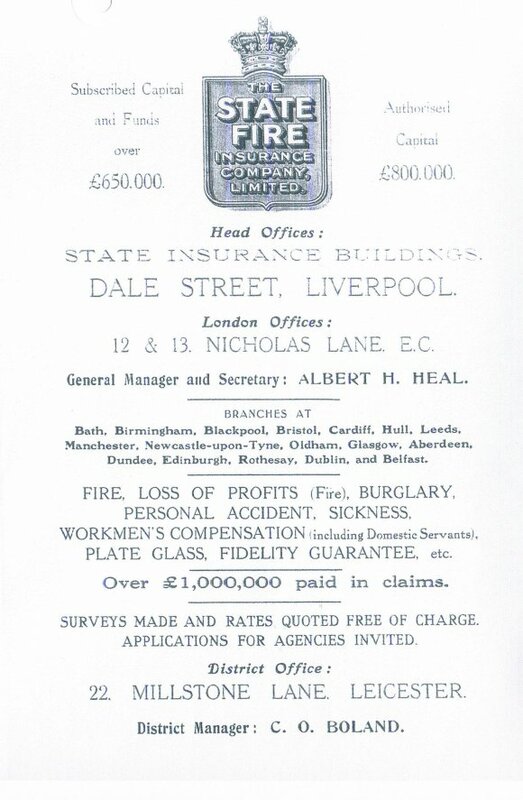 per annum Third Class and £7 1s 9d First Class. 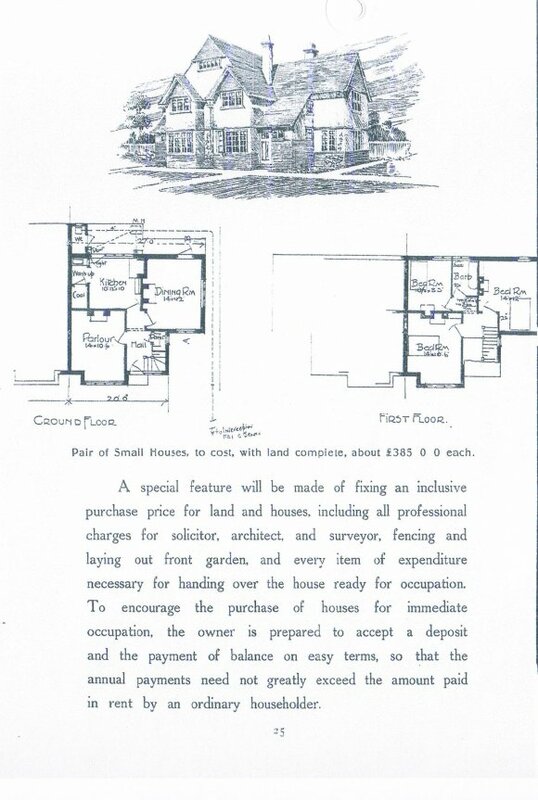 There are floor plans of the properties available and cost. 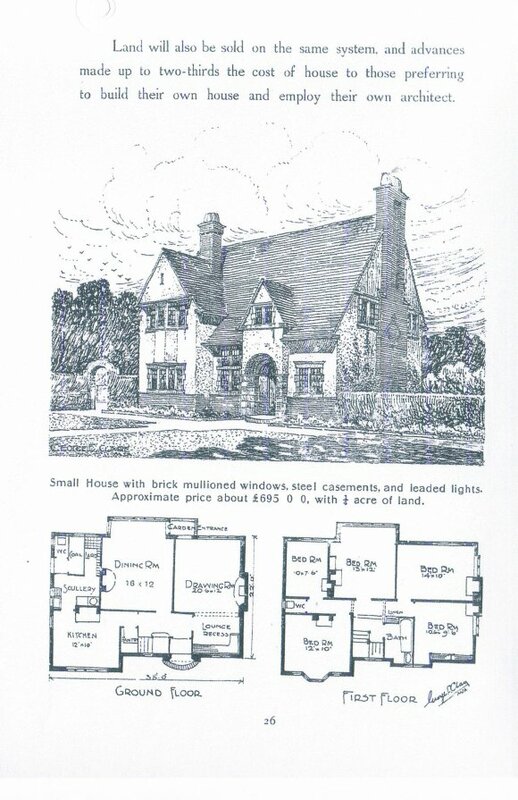 The property shown above is classed as a small house (with 5 bedrooms) with brick mullioned windows, steel casements and leaded lights. 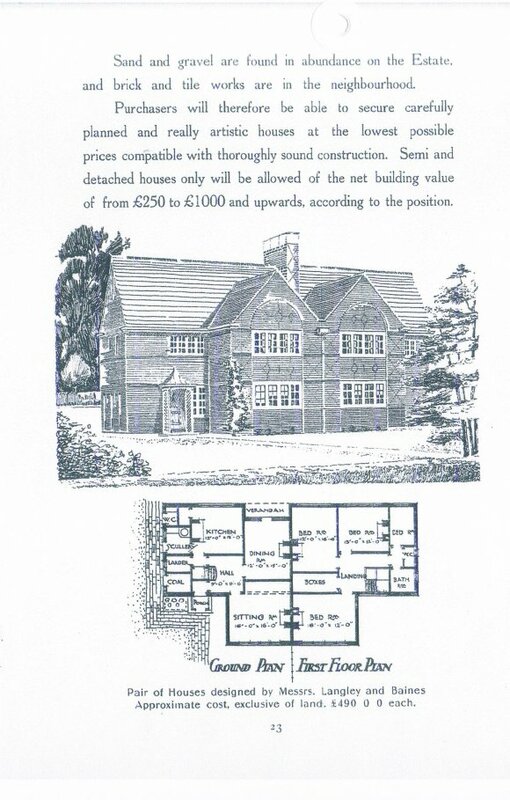 Approximate cost £695.0.0 with a quarter of an acre of land. 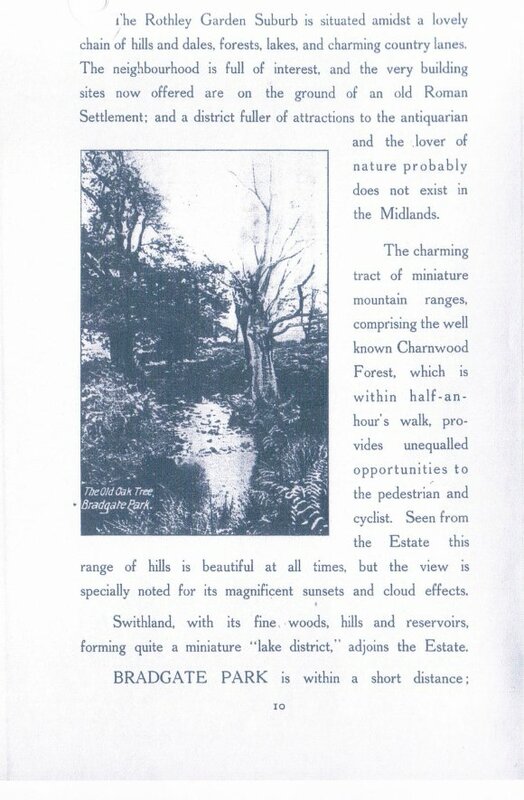 A copy of this booklet can be found in the Local Studies Section at Rothley Community Library in a folder called Local Studies. 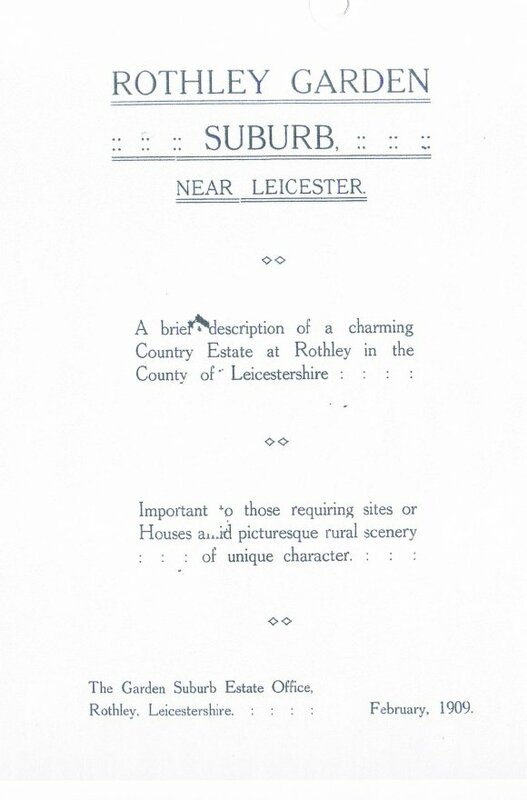 The pages are shown below.